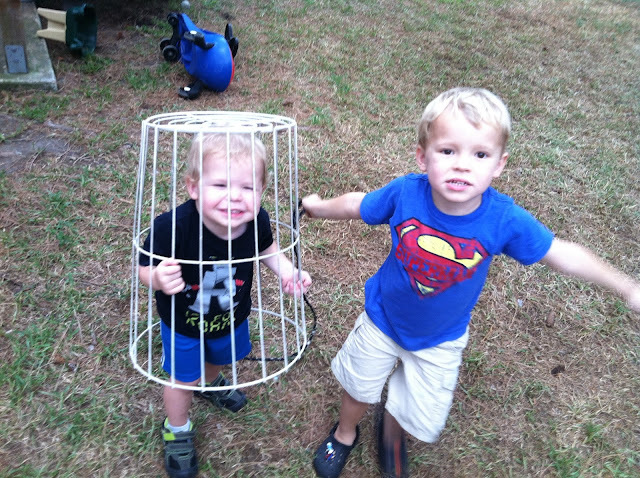 Jackson and Ben love to play outside when I grill, and Jackson told me to turn around so I could see what he and Ben were doing. 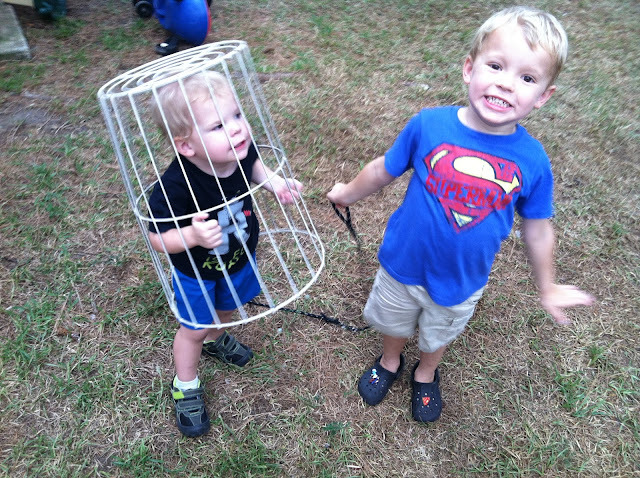 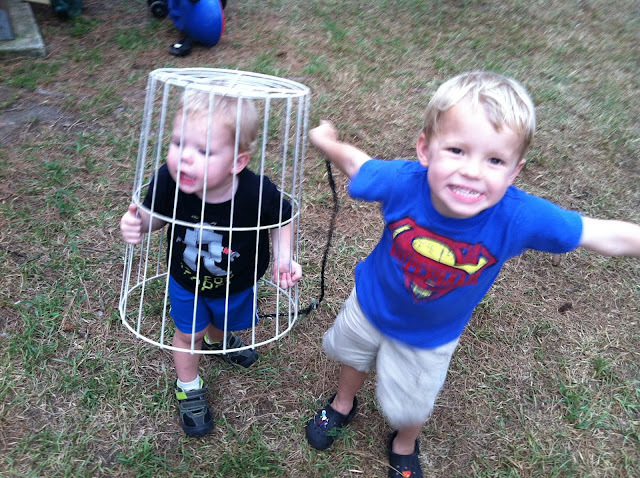 Jackson was leading caged Ben around by a leash on the cage. 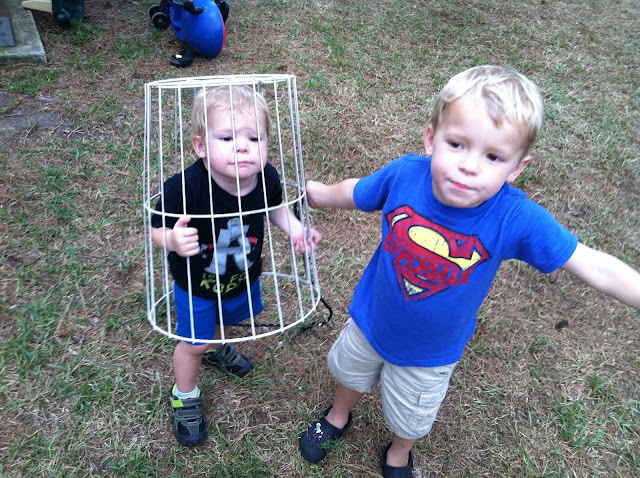 I told him to stop before someone got hurt, but then told them to let me take a picture for you.